December 30, 2011  Just a few years ago, some critics predicted reality TV shows would kill the sitcom altogether. Instead, the rise of the Funny Female proves network television's future likely comes with a smile — and a pair of snappy high heels. 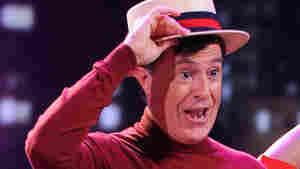 December 30, 2011  The political satirist and comedian talks about his Broadway performance (and performance anxieties) and about his recent segments on The Colbert Report featuring Sarah Palin and Anthony Weiner. December 30, 2011  Oprah Winfrey gave up her coveted spot as the queen of daytime talk to start a cable network. A year after its launch, however, OWN is struggling. 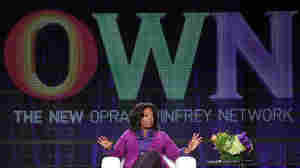 Winfrey hopes a show of her own will boost viewership, but admits that running the network is much harder than she anticipated. 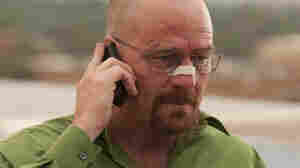 December 27, 2011  Student-turned-drug dealer Jesse Pinkman was supposed to die in the first season of the AMC drama. But the writers decided the chemistry between high school teacher Walter White (Bryan Cranston) and Jesse (Aaron Paul) was too good to let go. December 27, 2011  Margo Martindale plays Mags Bennett, the leader of a law-defying Appalachian family in the FX series Justified. The Emmy-nominated actress talks about playing Mags — as well as her other roles in Paris, Je T'Aime and Million Dollar Baby. December 26, 2011  Fallon is thankful for slow walkers, people named Lloyd and the word "moist." The comedian and host of Late Night collects more than 100 nuggets of gratitude in his book called Thank You Notes. He talks with Terry Gross about giving thanks and doing impressions. December 25, 2011  Every year, the comedian's three young grandchildren visit him for Christmas. Problem is, "they're annoying," he says. 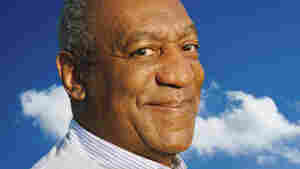 So Cosby came up with a plan to calm the squabbling children and restore Christmas cheer to his household. 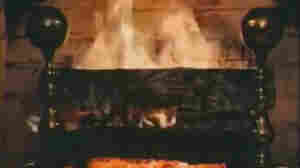 December 24, 2011  The yule log debuted on WPIX in New York City 45 years ago this Christmas. Since its first broadcast, the log has inspired a quirky genre of film that's finding new popularity on high-definition televisions and beyond. December 24, 2011  The Australian actress known in the U.S. for her role on HBO's Six Feet Under returns to her roots as a stage actress in Other Desert Cities. "Theater was where I began," she says. December 23, 2011  Jessica Fellowes, author of a new book about the successful series Downton Abbey, talks about the story of the Crawleys and the world they inhabit. December 23, 2011  Cooking crystal meth is just "basic chemistry" for Walter White, the fictional chemistry teacher and anti-hero of the TV drama "Breaking Bad." Organic chemist Donna Nelson serves as science adviser to the show; she explains how the series' writers work to get the science right. December 23, 2011  Tonight on BBC America, it's Wait Wait ... Don't Tell Me! with special guest Neil Gaiman. What's not great about that? December 23, 2011  Commentator Mark Blankenship finds a special place in his heart for Emmet Otter's Jug-Band Christmas, a Jim Henson special from 1977. December 20, 2011  Fresh Air's TV critic reveals his top 10 list of the year's best shows, from a political drama on Showtime to a "risky" comedy on ABC. Bianculli also reveals which shows are the worst to hit screens this year — including not one but two shows featuring Snooki. December 18, 2011  You might remember Ben Jones as Cooter the mechanic on The Dukes of Hazzard, but Jones also spent two terms in Congress. In 1994, he faced off against a very interesting opponent: current Republican presidential frontrunner Newt Gingrich.